Frank has concentrated on representing corporate entrepreneurs, local tenants/buyers and landlords/sellers with a specialization in retail and mixed-use developments. His reputation and professional respect in the Dallas/Fort Worth marketplace is a direct result of his passion for aggressively and successfully representing his clients while simultaneously respecting the counterpart in the transaction. Prior to joining Henry S. Miller, Frank was Managing Director of Retail at Transwestern, Executive Vice President and Market Leader of Dallas at SRS Real Estate Partners (formerly Staubach Retail) after the merger of his firm, Revere Commercial Realty, with SRS Real Estate Partners. Frank began his career as an office tenant representation specialist. For 12 years, Frank was the Master Broker for Black Eyed Pea and Taco Bueno, where he successfully completed the consolidation of their corporate headquarters relocation into one facility in Preston Center in Dallas, Texas and subsequently completed over 180 transactions for them. 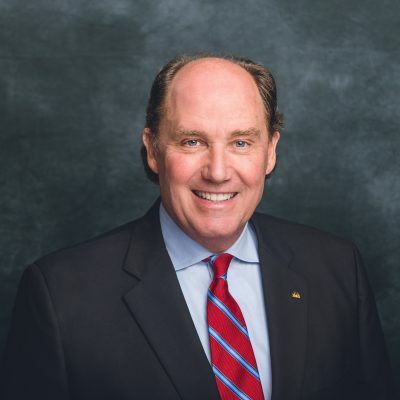 In addition, he has represented Bank One (Chase), and Century Bank (Wells Fargo) with the site selection of multiple locations throughout Dallas/Fort Worth. Most recently (2013-2015), Frank represented Sheplers Westernwear on a national basis resulting in an extremely profitable sale of Sheplers to Boot Barn in June, 2015. Frank continues to represent numerous restaurants/retailers (i.e., Gatti’s Pizza, Bush’ Chicken, Coyote Ugly Saloons, Massage Luxe and Fernando’s Mexican Cuisine), as well as other local entrepreneurial businesses. Frank has also represented landlord listing assignments with Regency Centers, Inland American, Arrow Retail and Cypress Equities Companies. Frank also led the leasing efforts for West 7th in Fort Worth and the University of Texas at Arlington’s mixed-use development, College Park. Frank is a licensed Texas Real Estate Broker. He is a member of the North Texas Commercial Association of Realtors (NTCAR) and the International Council of Shopping Centers (ICSC). Frank received a bachelor’s degree in business administration, marketing and finance from the University of Texas in Austin, Texas.